Comics have undoubtedly had some fantastic, and some questionable, cross over events. There was the time Superman and Bugs Bunny shared a four issue mini-series published in 2000. And, of course, there was the time The Punisher hunted Archie through the streets of Riverdale in the 1990s. But a recent fan favourite cross over event stands out above the rest. 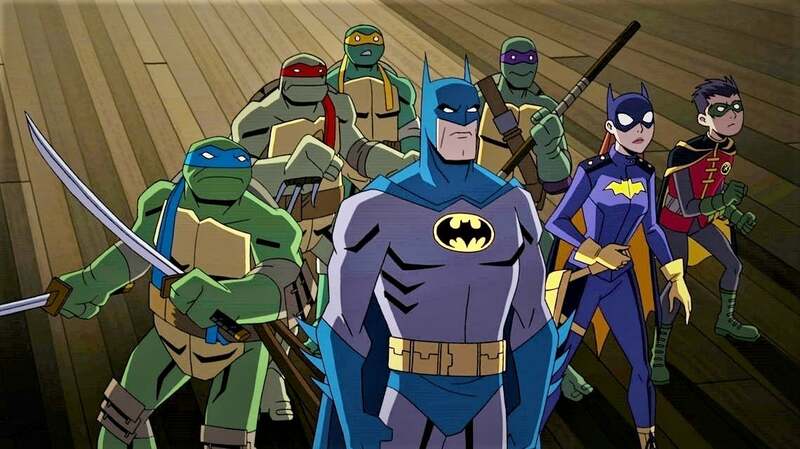 Batman and The Teenage Mutant Ninja Turtles. This Spring, fans of the comic cross-over will be treated with an animated film adaptation. Warner Bros. Animation, Nickelodeon and DC Entertainment are teaming up to make this dream a reality. 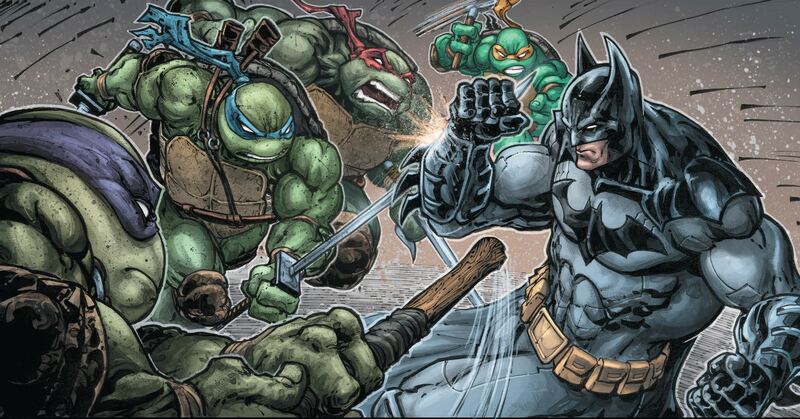 This will be the first time the Heroes In A Half Shell and the Dark Knight have appeared on screen together. An impressive voice cast has been assembled to bring the team-up of the century to the screen. Darren Criss, Kyle Mooney, Baron Vaughn and Eric Bauza will voice the crime-fighting, teenage quartet. While Troy Baker and Rachel Bloom will voice Batman and Batgirl, respectively. An impressive ensemble of Batman villains is slated to appear in the film including Mr Freeze, Harley Quinn, Poison Ivy, The Penguin and, of course, The Joker. The most notable voice actor to take on the role of a Batman villain is Tom Kenny as The Penguin. Tom Kenny is most known for voicing the lovable and laughable Sponge Bob Square Pants. In 2015 the six part mini-series featuring the Teenage Mutant Ninja Turtles and Batman began publication. The story followed everybody’s favorite reptilian team of crime-fighting mutants as they, along with Master Splinter and arch enemy, The Shredder, were transported into an alternate dimension. 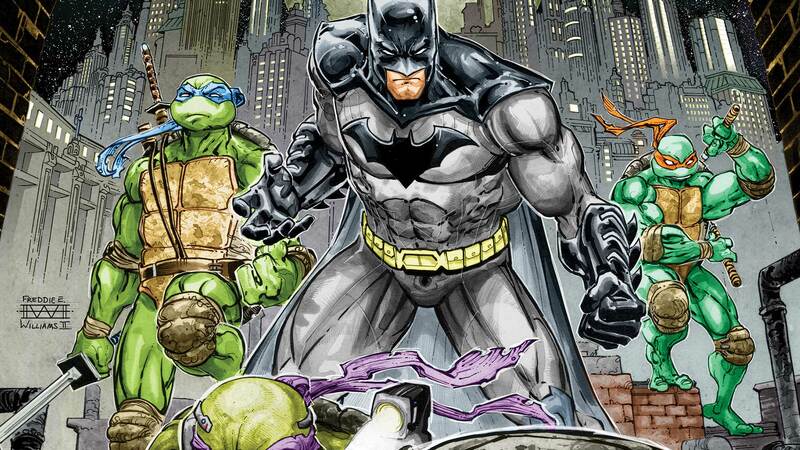 Donatello, Raphael, Michelangelo and Leonardo find themselves in Gotham where they meet the Dark Knight himself. After the initial confrontation, the heroes come to realize they are on the same side and team up to face off against some of Batman’s most notorious foes. This is certainly an exciting premise for an animated film. While there’s been no mention of Shredder making an appearance in the movie, I for one hope he does. Shredder is a stand out villain. He’s a skilled ninja with an intimidating appearance, and I can not think of a battle that I would rather see than Batman vs The Shredder. Either way, I’m excited for the opportunity to see two of my favorite franchises come together for a feature length film.